First I have to say that one diversion for me were Torino’s away kits. They all looked like beauty pageant contestants, with a sash that said “Suzuki.” So I kept giggling thinking that they were all apparently competing in a Mr. Suzuki pageant or something. But giggling aside, winning our season opener was such a positive for Milan. We had only won one of the past five openers, so it was really important. And with a fairly empty San Siro, the win will be important for coming matches, too. But the win was also a bit of a diversion from the issues of recent years and even weeks, a very refreshing diversion indeed. The match started with a dangerous backpass in the fourth minute. It’s as if Montella is trying to divert the attention from massive individual errors on set pieces and otherwise by creating a new defensive problem under the guise of “possession.” Either that, or he just hates Donnarumma. Then there was a gamechanging event in the 22nd, when Ljajic introduced himself to Romagnoli, then was unable to recover from that meeting and was stretchered off a couple of minutes later. This was crucial, as he was one of Mihajlovic’ most creative and talented players, and had he stayed healthy, he could have easily caused problems for our defense. 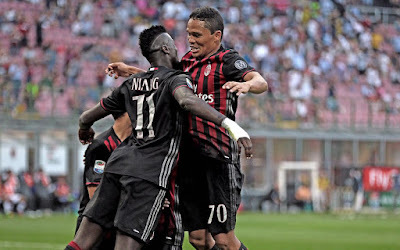 There were a couple of cards, mainly for Torino players attempting to stop Niang, who despite being a center forward, spent the whole match creating plays and linking up so nicely with Bacca. And he certainly created the first goal, in the 38th, when he sent a cross over to Abate, who crossed it into Bacca, who headed it in. 1-0 Milan. And yes, you read, that right, Abate got the assist. My theory is that his crossing abilities are tied to the length of his hair. When it is too short, he can’t cross accurately, but apparently he can when it is longer. So please don’t let him cut his hair. Oh, and speaking of players who are impacted by haircuts – Paletta got a yellow in the 45th. The dangerous thing about facing an ex-coach is that he truly knows your weakness. And clearly, he had talked to Belotti about Milan’s defense, who was acutely aware that the best way to score a goal was right between our two center backs. And so in a play that was not unlike our opening goal, Belotti scored a header in the 48th. 1-1. But Bacca was not about to let Torino steal his thunder. So in the 50th, when Niang sent in a sweet assist, he scored… again… 2-1 Milan. And my favorite part was the Niang-Bacca chest bump celebration, as I think it embodied how a lot of Milan fans were wanting to celebrate right about then. 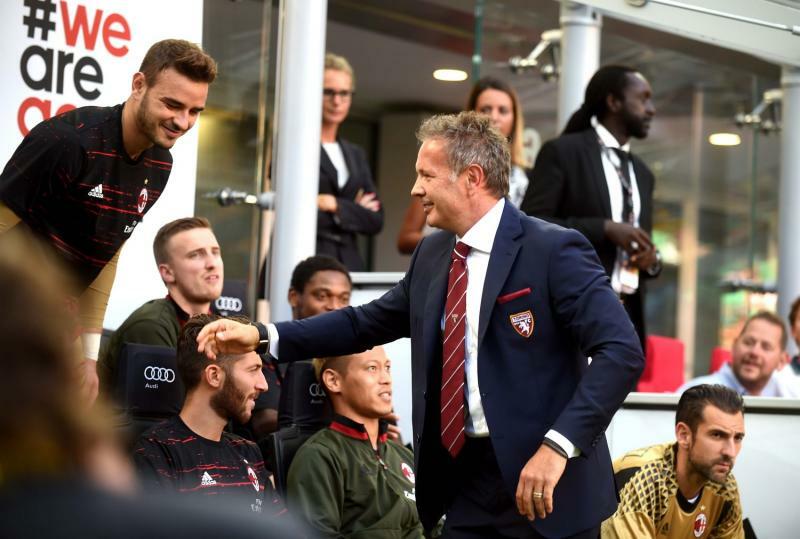 Mihajlovic tried to use the ex-Milan player trick by bringing on Maxi Lopez in the 58th, but it didn’t work. In fact, just three minutes later, Bonaventura dribbled into the box and drew a penalty. Bacca, having promised his son that he would score a hat trick someday, stepped up to the spot and converted it in the 62nd. 3-1 Milan. And his first hat trick for Milan. Who says Milan have no quality? Montella would use his first sub in the 73rd, bringing on Bertolacci for Bonaventura. But he was apparently cursed for subbing so late, when not two minutes later, Bertolacci went down awkwardly after introducing himself to Boyé, and had to be subbed off for Poli. Two things: first, that looked like a serious injury. After limping to the sidelines, they stretchered him off the side of the pitch. That can’t be good. Get well soon, Bertolacci. Second, when discussing depth, this was a perfect example – we started with Bonaventura (good,) went to Bertolacci (some skills… I think,) and ended up with Poli (like the annoying puppy who runs everywhere but can’t fetch.) That is not good at all. In the 87th, Montella made his third and final sub, apparently to give Bacca a victory lap and give Adriano a couple of minutes. But it was a bit premature in that Milan had run out of gas like fifteen minutes prior, and had been making a lot of errors. 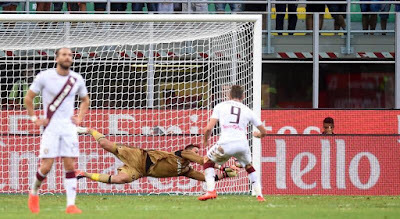 In contrast, Torino were tightening the screws, keeping Donnarumma busy and waiting for Milan to make errors. And when I say errors, our defense always comes to mind. And so it was that in the 91st, Baselli caught them all sleeping and scored. 3-2 Milan. He almost scored again just a minute later, too. The chances were coming for Torino, while Milan planned their celebrations. It was in the fourth minute of stoppage time that the crucial error was made: Paletta got his shirt ripped. I mean he was mixing it up in the box, and got carded for it. A second yellow. The bad thing was obviously this was a penalty. The good thing is, since Gomez did not make his Serie A debut today, he will almost undoubtedly make it next time, with Paletta suspended. A pretty decent silver lining. 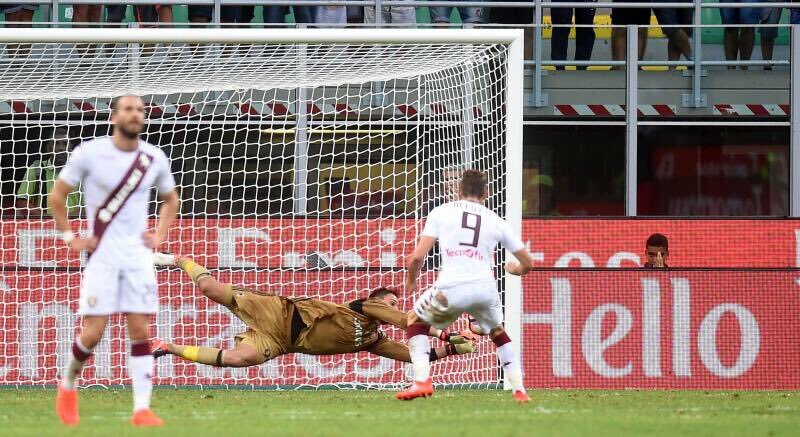 But the gold lining was Donnarumma. With that metallic gold kit that looks like a rejected disco outfit from the 1970’s, he saved the chicken “Gallo’s (Belotti’s) penalty. And the game. And Bacca’s hat trick. 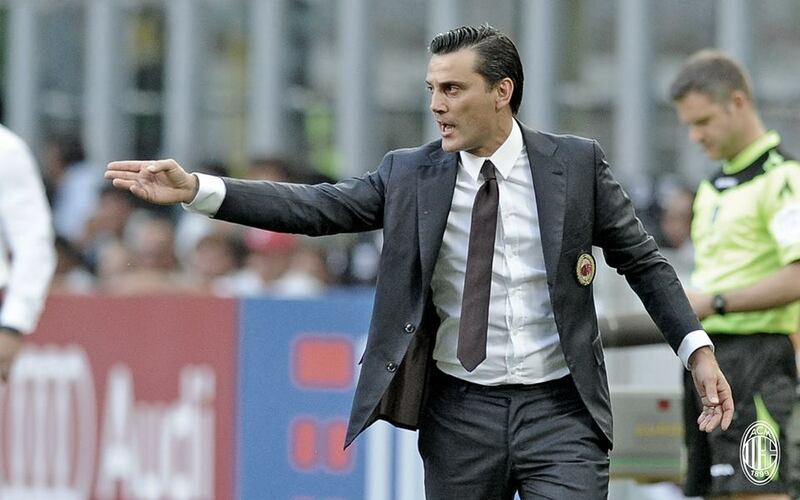 And Montella’s pride. And the world, really. Mihajlovic said "If I had known that Donnarumma would save the penalty I wouldn't given him his debut last season (laughing)." He was visibly smiling after the save, and warmly greeted the Milan players ahead of the match, even if he couldn’t have been happy about the loss after the match. At least the 20,000 or so fans that turned up gave him a warm welcome ahead of the match. However, the biggest diversion of the match wasn’t anyone’s ridiculous kits or the story of an ex-coach and his coaching-stalker, Montella. The biggest diversion was that the guys played around Montolivo. Like literally, almost everything was played on the wings. Because when it wasn’t, he was just awful. Even his lateral passes were slow and behind the player. His attempts at clearances were worse than Maxi Lopez’ hair. And so I don’t know if Montella kind of told them “keep the ball away from Montolivo” or what, but with only 51% possession, the quality and effectiveness of the possession was much higher because of who had the ball. Interesting, too, that Galliani spoke of signing an “understudy” to Montolivo ahead of the match. If by “understudy,” he meant that Montella threatened him with his life if he didn’t get him a proper defensive midfielder to replace him this mercato, then I believe that. But considering the budget he’s got, I’m also not holding my breath. Also, the Curva put up a banner that said “Galliani leave the new Milan,” so if he’s a lame duck CEO, it’s hard to know if he’ll even try, considering he was just a lame CEO before the agreement was signed. 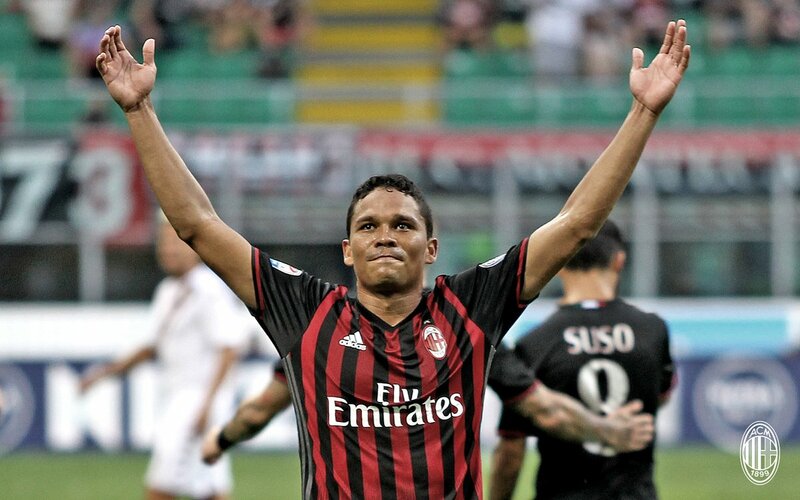 Bacca now has 20 Serie A goals with only 39 shots, according to @OptaPaolo. That’s amazing. What is also amazing is Torino’s woeful finishing. Despite Milan marginally out-possessing them, they managed to get 20 shots off with only four on target. Milan only took 11 shots, with five on target, even if it seemed that we made Padelli earn his paycheck. But Montella seems to have realized that depending on this midfield for service was the error of his predecessors. Working with what he’s got, Niang and Suso playing on the wings was sheer genius, as both of them are capable of holding the ball, running with the ball, handling the ball, and accurately passing the ball. You know, all of those things most of our midfielders can’t do? And so while we still have a poor midfield, our defenders make big errors, and we don’t have a bench to speak of, Montella was wise to find what we do have and capitalize on that: Decent fullbacks, three good attackers who are flexible in where they play, and an emerging world class goalkeeper to save the day when all else fails. Today, that quality was able to hold out and pull off the win despite the weaknesses. But we lacked stamina, too. And with injuries, having to turn to the bench, we could be in more trouble very shortly. However, just for today, I was so grateful for the three points and the happiness of winning our season opener. Also happy that Inter lost to Chievo (grazie, Birsa!) and slightly hopeful that Napoli had to fight for a draw against Pescara. The problems we have always had are still there, but Montella seems to have found a way to divert play around one of our biggest problems: Montolivo. So maybe… just maybe we will find some success while we wait for the sale of the club to close. But no need to worry about that for now, as we can all still celebrate this beautiful diversion.